Tra la la. January is OVER! Fol-de-rol. Hippity skip. It is FEBRUARY! Snowdrops are appearing, green shoots of daffodils are poking their way through the mud, and hey by golly it’s not dark at 2pm. Yes, it may still snow, and it may still get cold, but from here to spring sunshine and galloping lambs it’s a downhill scamper. We can feel our sap rising, our cockles warming, and our toes. With a hop, skip and jump, plus a little wriggle of delight, let’s frolic on down to Fresh Goods Friday. Whoopeeeeeee……! 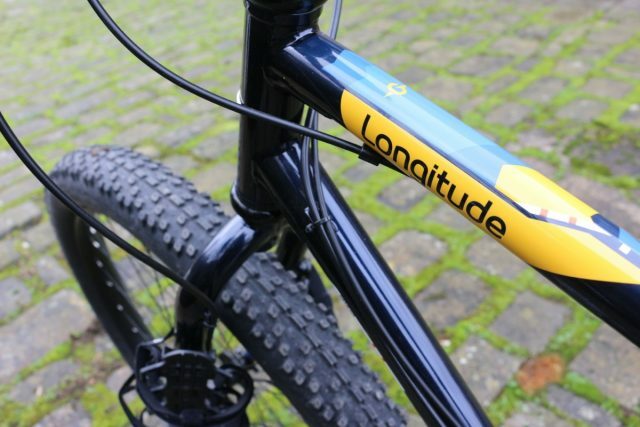 The Longitude – bring on the adventures! This is a chromoly framed, 27.5+ (or ‘mid fat’) fully rigid bike from Genesis. 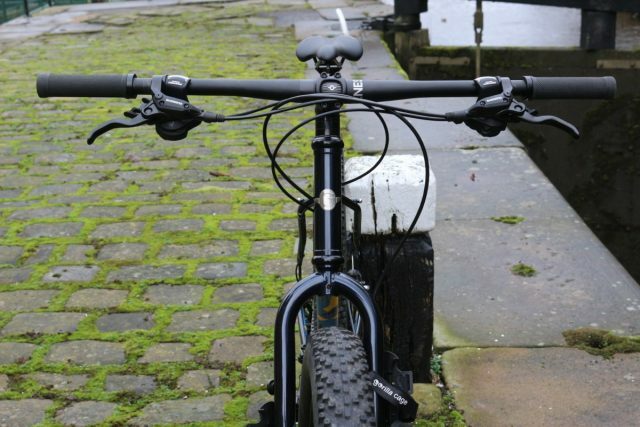 It conveniently comes under the Cycle to Work Scheme limit, but it’s more likely to inspire you to ride away from work. Oh the irony! 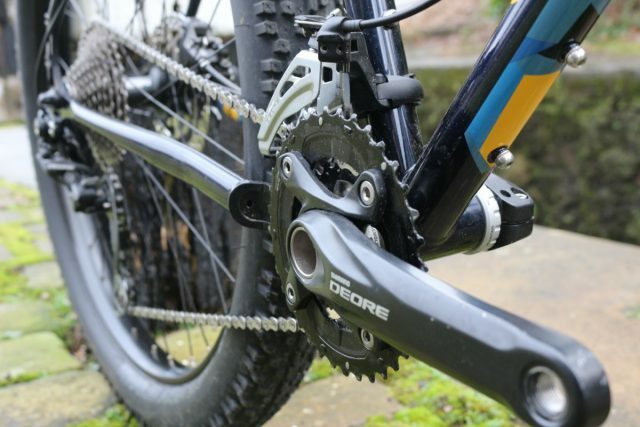 Shimano Deore 2×10 gears – load it up and head for the hills with no worries about whether your knees can take it. 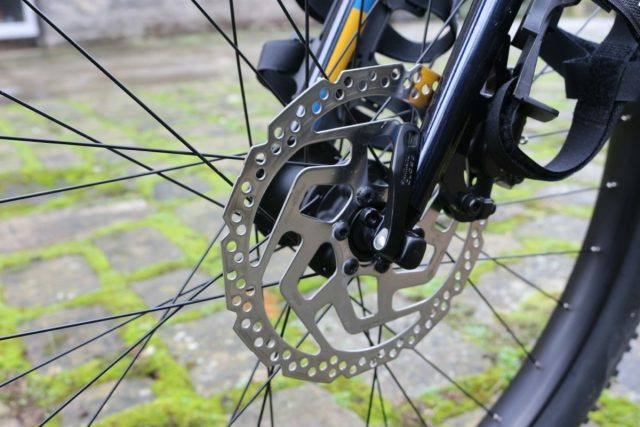 It has horizontal dropouts, so if your knees are up to it (or disaster befalls you in the middle of nowhere) you can go singlespeed. 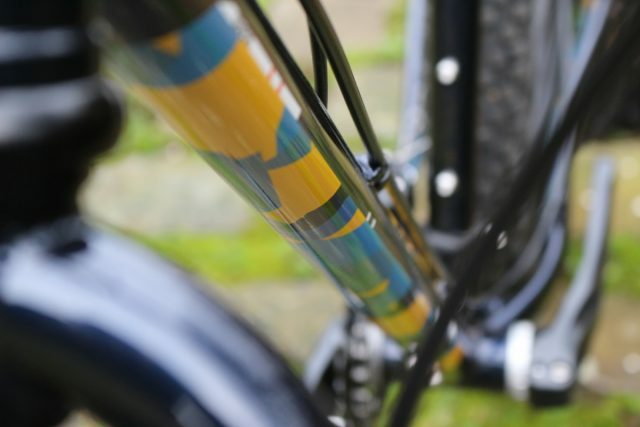 The other side of that dropout is rather nice too. 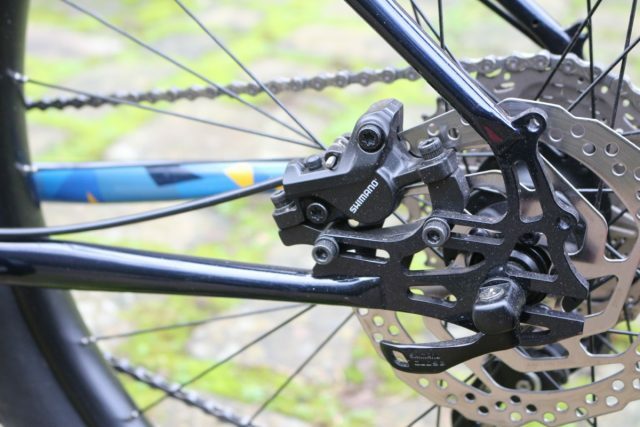 To go with the Shimano Deore shifting, you get Shimano M395 Brakes. 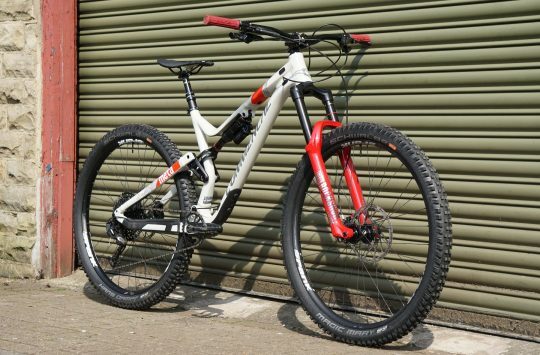 180mm front, 160mm rear should slow you and your luggage down. Untapered headtube or just ‘straight’? Or ‘normal’ even? 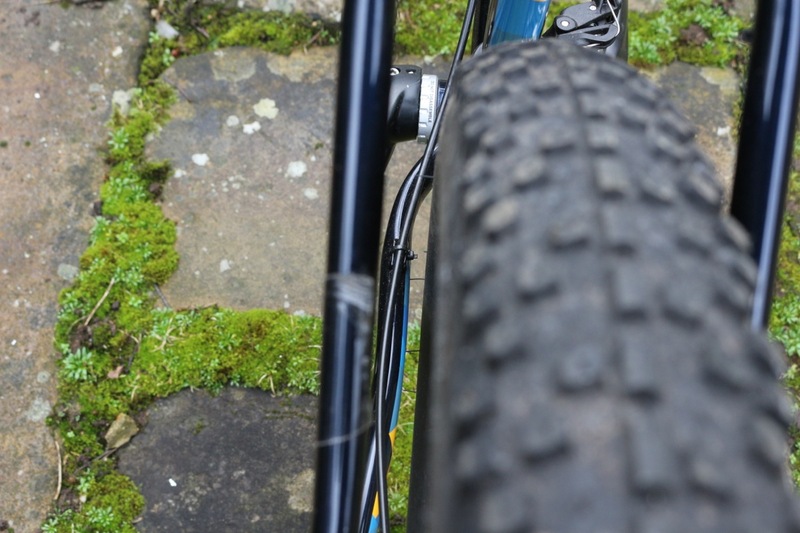 It has a very slim and skinny steel feel to it, helped along by the lack of tapered head tube. We rather like the various decorative details. Reminiscent of old British Railway ‘come to the seaside’ adverts. 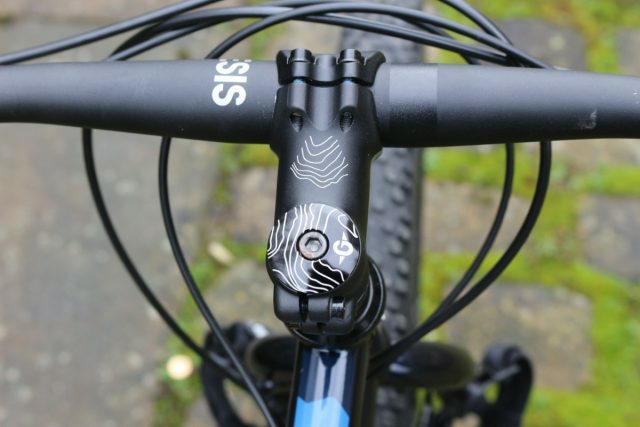 As well as looking rather pretty, it has some practical additions, such as these bosses for a rack. Gorilla Cage. Do not use for actual gorillas. 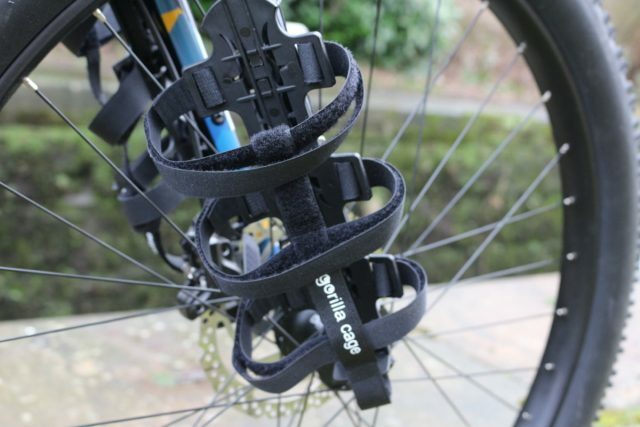 Each bike ships with these Gorilla Cages, allowing you to carry stuff up to 1.5kg each in the adjustable cradles. 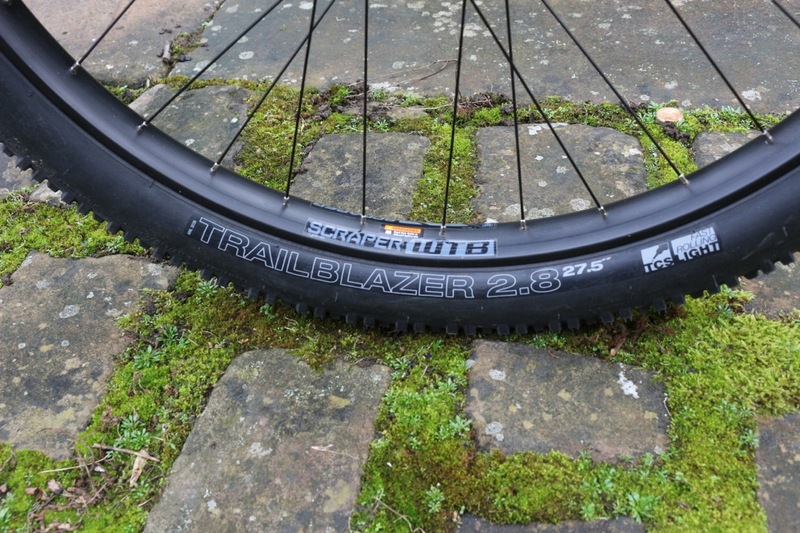 The bike comes kitted out with tubeless ready WTB Trailblazers, 27.5×2.8. So to go tubeless all you’ll need it tape, valves and goo. 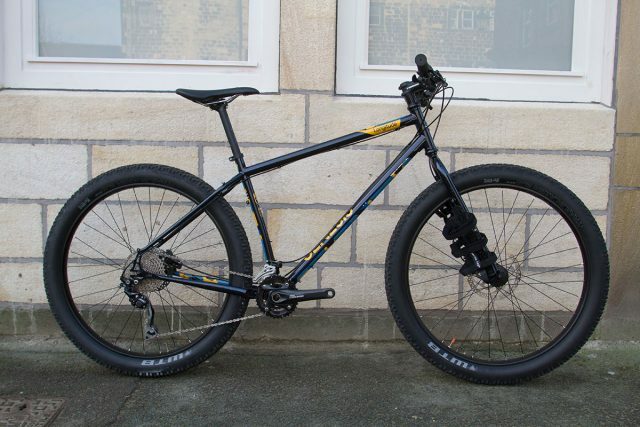 Nice pared down look about this bike. 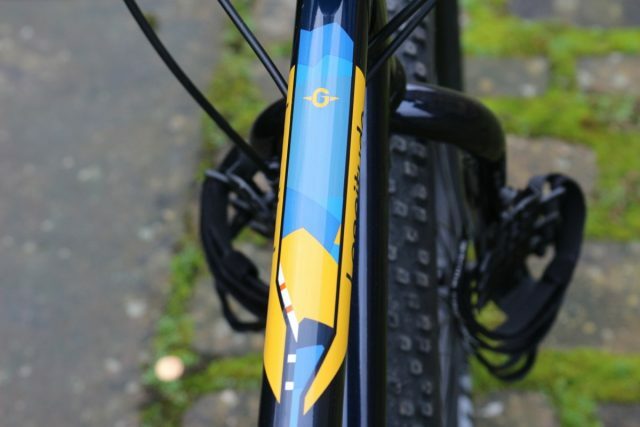 There’s something about this bike. It looks simple, it looks pretty, but it also looks fun. There could be an office fight over who gets to play out on this one. 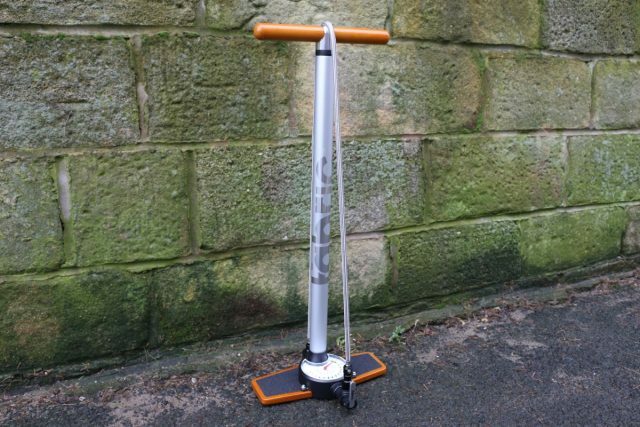 A high pressure high volume rack pump fit to adorn any workshop. 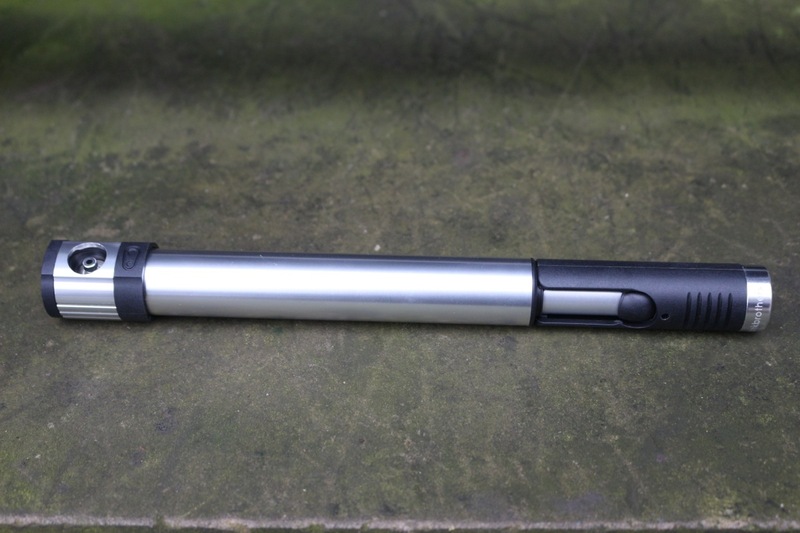 It has a nice long braided hose with with CNC attachments to stop it twisting. 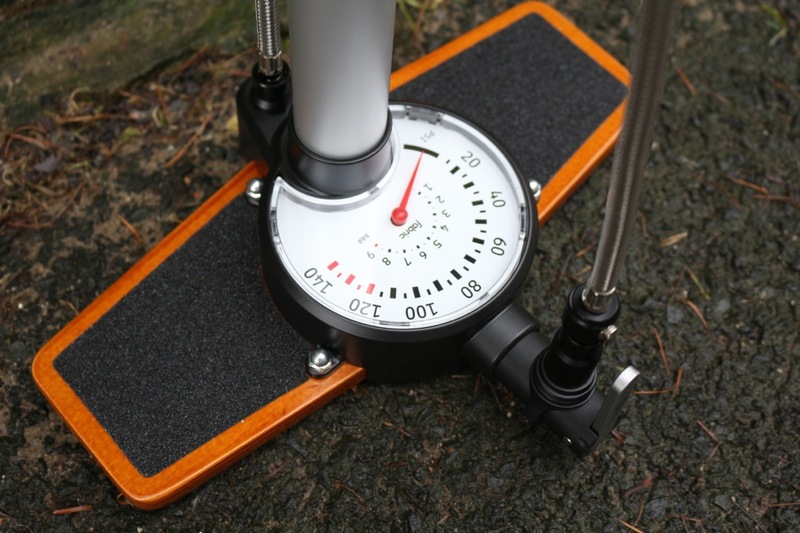 There’s a large print dial so you can see where you’re at – goes up to 140psi. Wooden base with grippy bits to put your feet – handy if you should have muddy feet. But then it’s so pretty looking you’d really want to keep it clean, wouldn’t you? 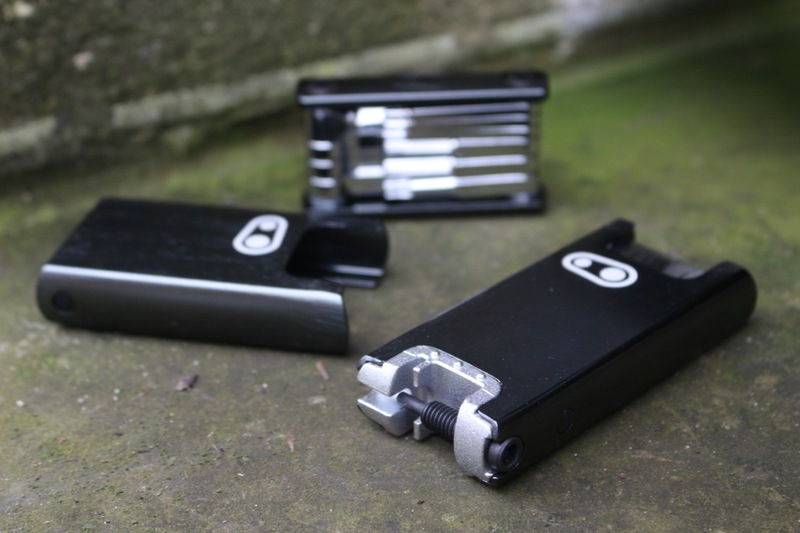 These little multitools come in magnetic cases that you can use as a handle to provide additional leverage. They also slot shut with a pleasingly shwoop-lick sound. Looking not dissimilar to a fancy Zippo lighter, they’re packed with handy tools. 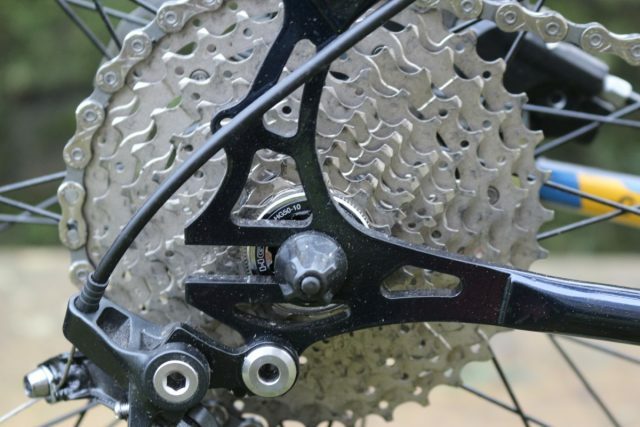 The F10+ comes with hex wrenches in seven sizes, a T-25 Torx, Phillips and flat head screwdrivers, and a bottle opener, The F15 packs in all that, plus spoke keys and a chain tool. Both are warrantied for five years. Too late for Veganuary, but of interest to all you proper vegans, these are bars with 16g of protein per bar. 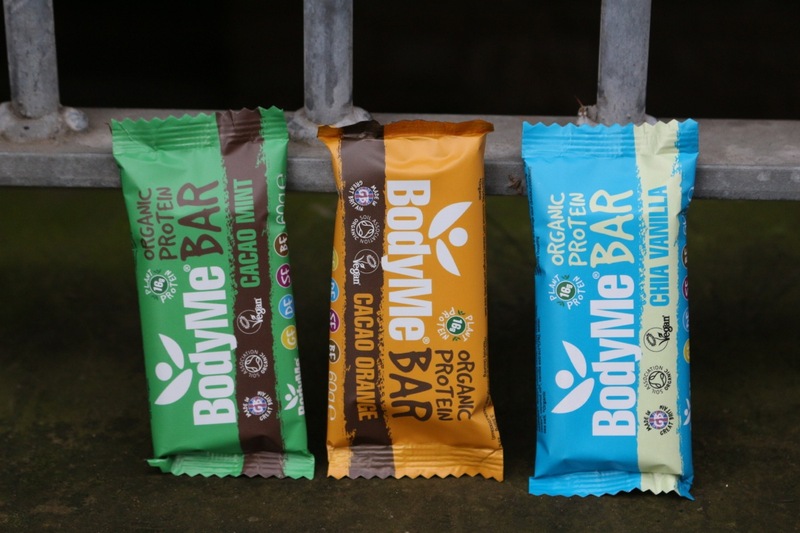 They’re also gluten and soy free, and use a mixture of pea protein, sprouted brown rice protein and hemp seed protein to ensure they contain all nine essential amino acids. Flavours are Cacao Orange, Chia Vanilla, and Cacao Mint. 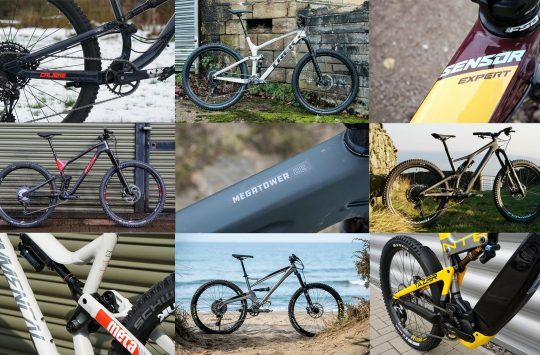 Like Strava for your suspension? This has got everyone in the office rather excited. We’ve told you about this little gizmo before, and we’ve even seen one in action, but now we’ve got our hands on our very own test samples too! 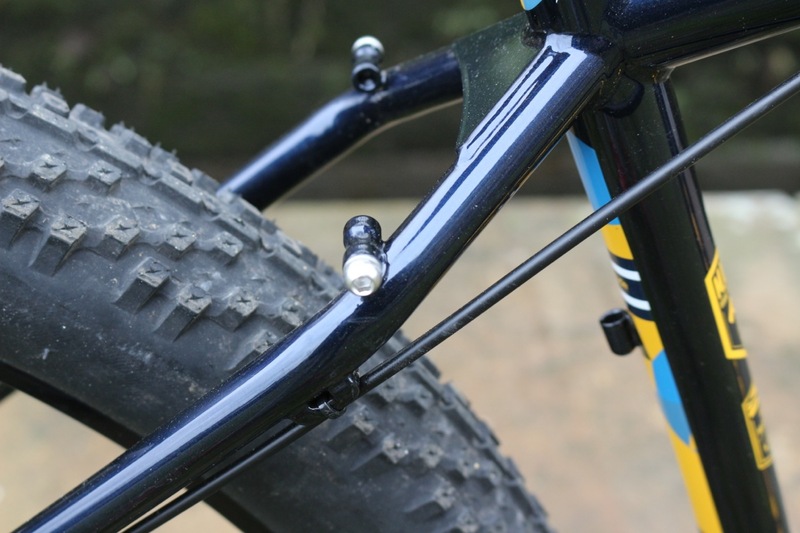 Not sure how to set up your suspension set up correctly? 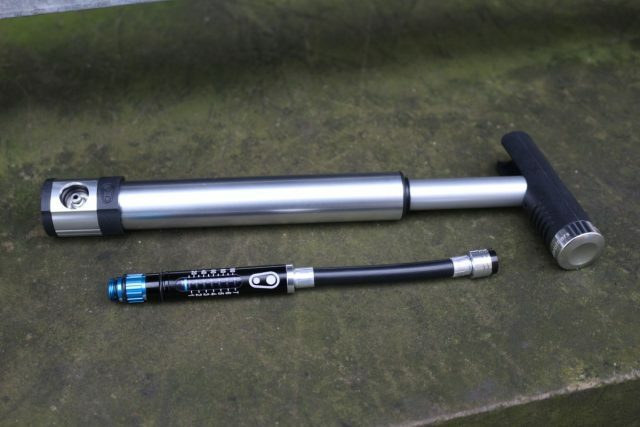 All you need to do is fit this to the Schrader valve on your fork or shock, and get riding. The ShockWiz then samples the air pressure 100 times per second, so that the accompanying app can analyse it and suggest the changes you should make to your fork or shock to improve its performance. The suggestions made by the app can be tailored to suit your riding style and needs. And if you’re one of those people that likes to leave your fancy pants phone at home so you don’t smash it, no bother – the ShockWiz collects the data to be analysed later. 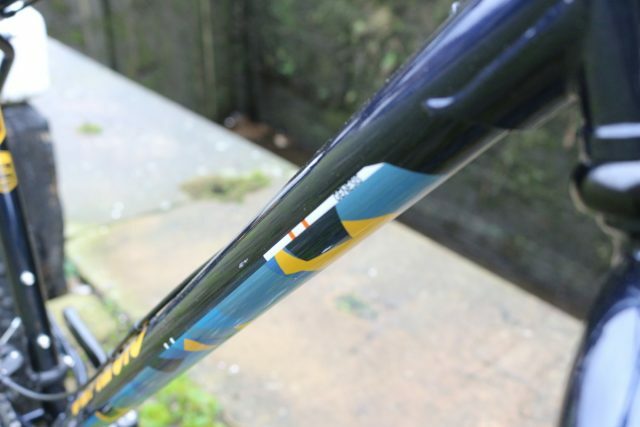 If you’ve ever been confounded by people talking about smoother mid-strokes and pogo-ing, then this may well be of interest to you. Now we’ve wittered on a bit, but we’re really quite excited about this. On sale dates when we get them. For those the need numbers, not a squeeze. 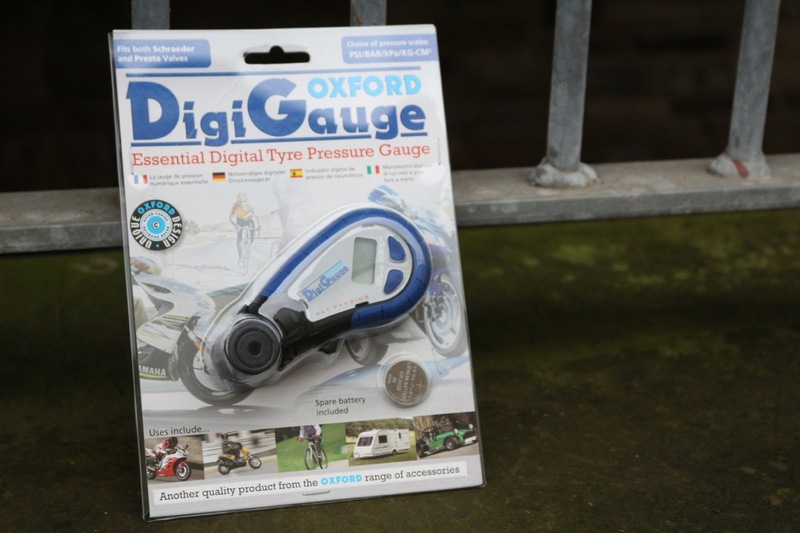 A multi purpose tyre gauge for our group test…Wil’s obsession with these things goes on. 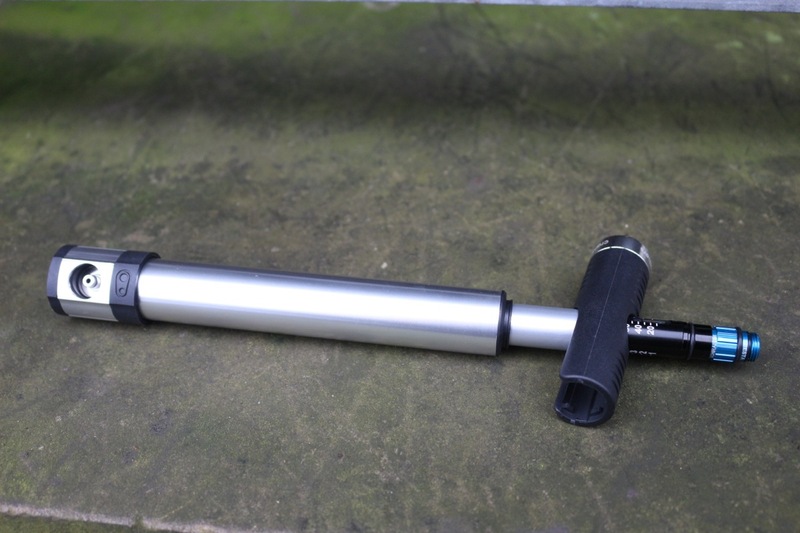 …fold out the handle to reveal the hidden hose which uses a magnetic interface to attach to pump. The highly polished pump body has an integrated twisting collar to keep the pump free of dirt and debris. Gives you a nice T-handle to pump with, plus your hose and gauge. A touch of trypophobia about these? Designed to balance comfort and breathability with mobility and European Standard protection, these are the latest generation of Trail Skins from Dainese. A sleeve style with velcro adjusters, and additional side impact protection. 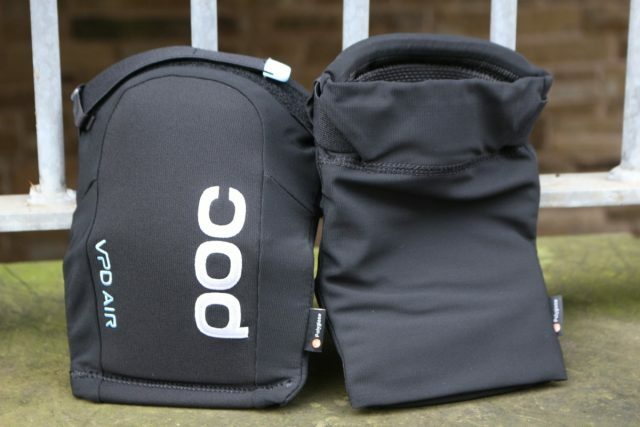 Also available as an elbow pad. Lightweight pull on knee guards with velcro adjusters. 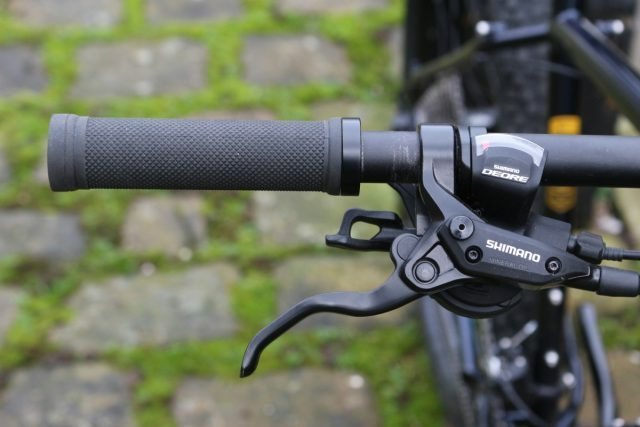 Designed for pedalling and freedom of movement without slippage. 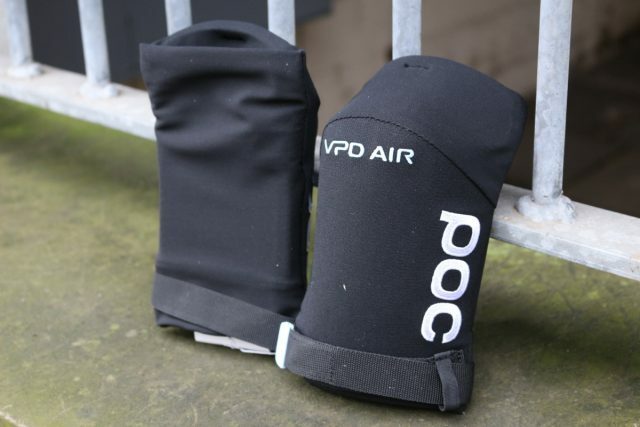 The VPD will adapt to the shape of your body for comfort and fit, but stiffens on impact to absorb shocks. For elbows, not very small knees. 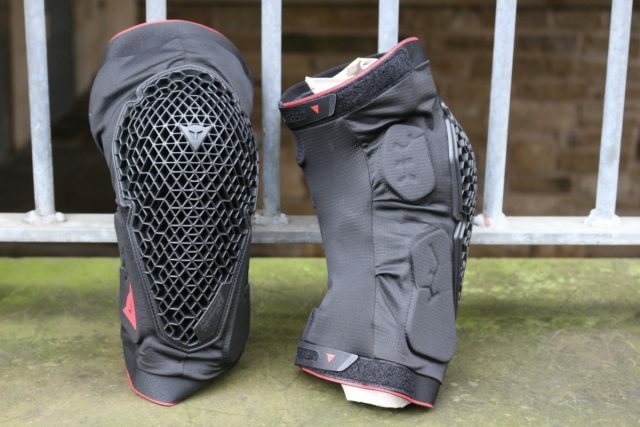 Same construction principles as the knee guards above, but this time for your arm-knees. Or elbows, as they are ore commonly known. Please note that no legs were chopped in the making of this image. A popular choice in the office, these are minimalist knee sleeves with D30 padding. 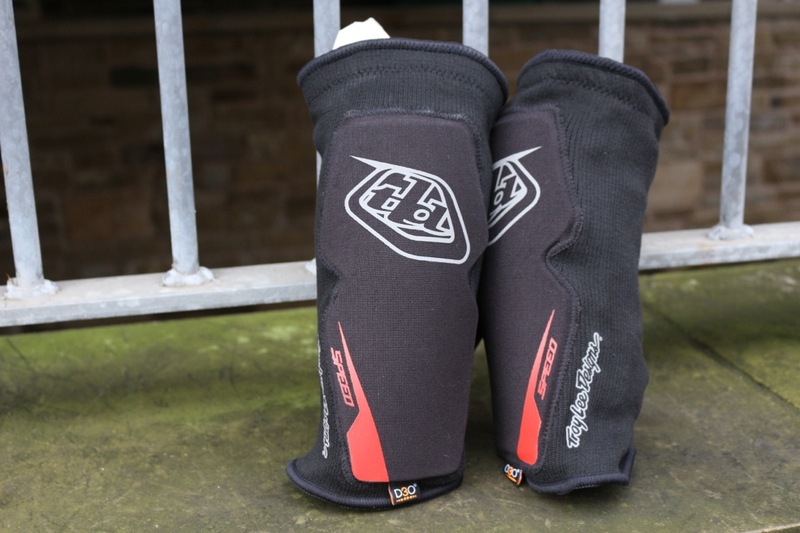 Made with a 360 degree seamless construction and abrasion resistant coating, we’ve seen folks in the office wearing these instead of leg warmers, they’re so comfortable and easy to wear. Not just beer, but beer AND chocolate! This is a Roses and Chocolate Howler for Valentine’s Day. 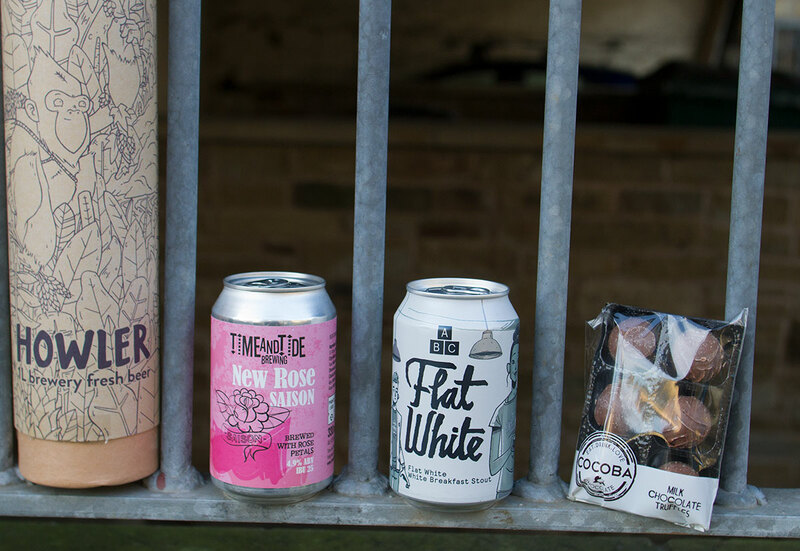 Spend this Valentine’s day cuddled up with a Howler filled with two flavour-filled canned brews and delicious truffles from the folks at Cocoba. Rose petals are infused into Time & Tide’s New Rose to produce a delicate and floral saison with hints of Turkish delight. Fancy an after-dinner coffee? Alphabet’s Flat White is boasts luscious flavours of caramel, vanilla and the finest freshly brewed cup of java. Then there’s six indulgent truffles filled with a milk chocolate ganache for you to enjoy. Nom nomnom scoff scoff. Oh. Sorry. Best get this Fresh Goods finished off with a tune before we drape ourselves over a chaise long in our house coats and settle back to snaffle this lot. Let’s get it on. 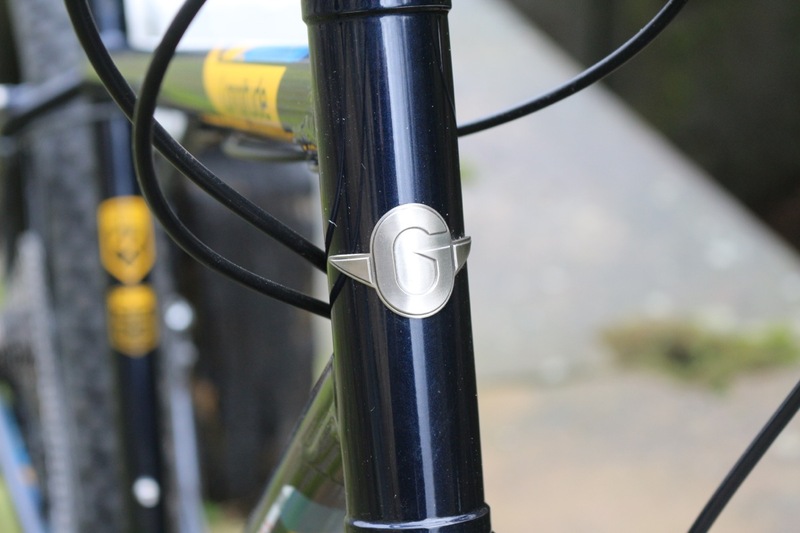 I have just bought a longitude as a frameset, first ride last Sunday, 70 miles up the Grand Union canal from Camden. Can I get in there first with the grumbles about that Dainese knee pad and British muddy conditions? 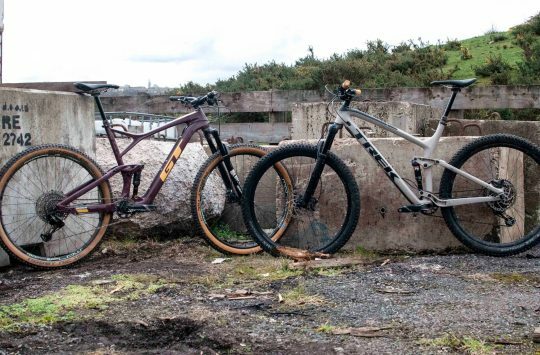 Is the ShockWiz £359 for a single unit or front and rear pair? I’d just get a bunch of mates to chip in, and with 10 people it’s only £35 each. Everyone gets a turn, and you’re likely to only use it for a few days. Win win. £70 quid for a track pump, you’re bleeping joking! 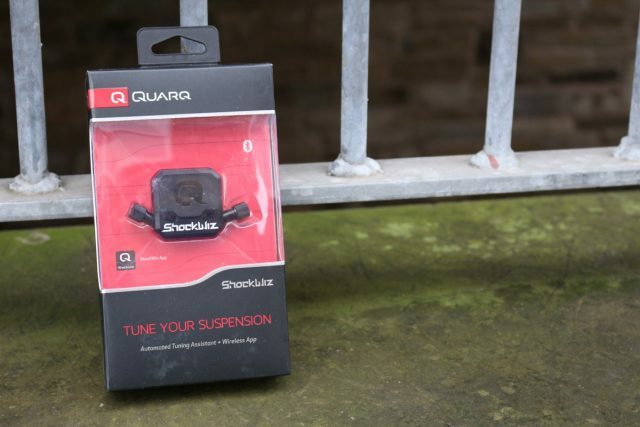 Buying Shockwiz was brilliant move by Sram – now they’ll get free user performance data in real life from both their own products, and competitors’ too. And no doubt the marketing dept will want to look at the phone contacts of anyone who uses it to see how peer pressure is affecting suspension choice amongst groups of friends. I still want to try it out but would like to hire from a shop who has a loan phone to go with it! As others have said the ShockWiz is way, way too expensive.